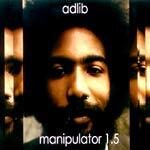 An amazing batch of remixes from production junkie Adlib to tide you over til the second installment of Manipulator. Remixes include Outkast, Rza, Special Ed, Gravediggaz, Cee-Lo and more! Don't let the tracklist scare you away, this cd is awesome!